Carrying an Umbrella for travel is wise, people make a mystical decision it will not rain while they are on vacation and it does. 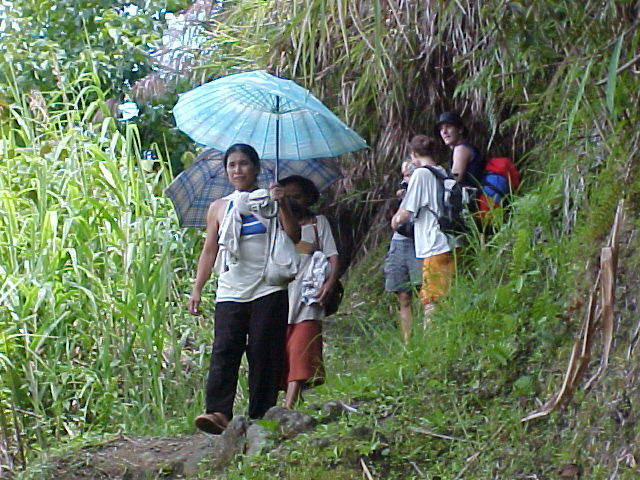 Often the locals will be using umbrellas, while the tourist do not, as if there was no need because they were on vacation. The word umbrella comes from the Latin word umbra, meaning shade or shadow (the Latin word, in turn, derives from the Ancient Greek ómbros) Brolly is a slang word for umbrella, used often in Britain, New Zealand, Australia, and South Africa; Bumbershoot is a fanciful Americanism from the late 19th century.